Beautiful Setting! This property consists of 6.84 acres of land with a 2800+ sqft custom built home nestled among many live oak trees. The floorpan of the home has 3 bedrooms and 2 baths on the west end and a 4th bedroom and full bath on the east end which would make an ideal office space, game room or separate apartment style area. The bathrooms have been remodeled as well as the kitchen area. Other features include granite countertops, built-in appliances, custom wood shutters and a fireplace in the living room. The property features a paved private driveway, manicured and landscaped grounds, several outbuildings ideal for workshop areas and abundant storage. There is a pergola style patio off the master bedroom and a wonderful covered porch off the living room. The land is relatively flat with good soil, great native grass cover and has had some clearing of cedar and mesquite. 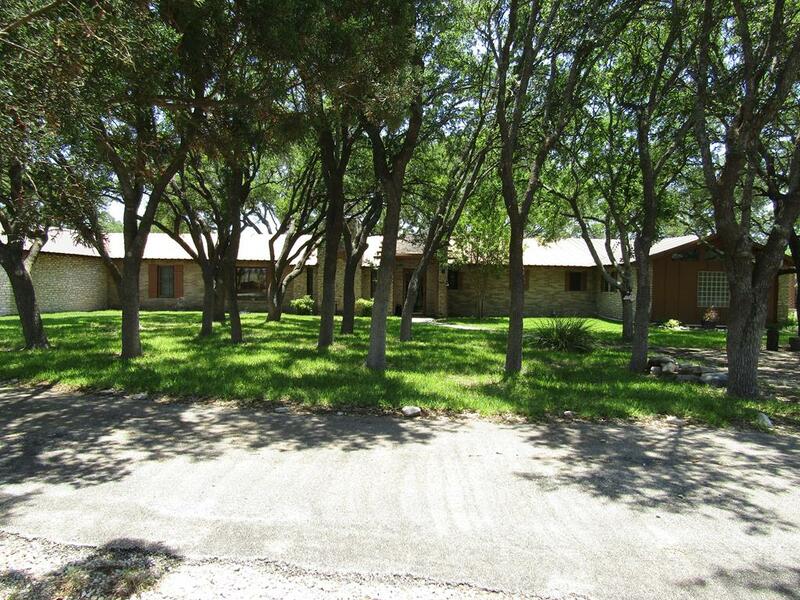 This property offers a spacious home, nice tract of land and ideal location within 5 minutes of Sonora.